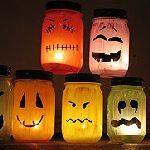 Preschool Halloween crafts provide the inspiration behind a party solely to impress tiny celebrants. Make your preschool Halloween party ideas extra special for little ghosts and goblins. Today's chore is tomorrow's cheer when you greet preschoolers with spooky Halloween decorations. And you will shriek (with delight) as to how easy it is to do--with their help, of course. 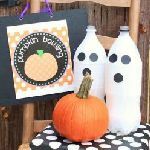 These easy preschool Halloween crafts will transform the classroom into a cavern of ghoulish wonders. This door wrapped in toilet tissue leaves just enough room for menacing eyes to peek out. 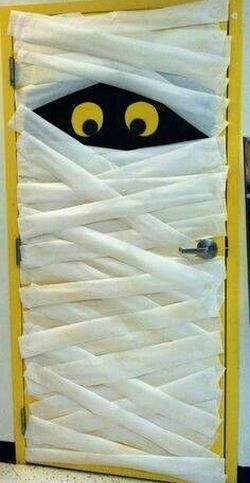 Wide eyed preschoolers will be quite impressed with a mummified door. Turn this favorite Halloween poem into a work of art. The first one said, "Oh, my it's getting late!" The fourth one said, "Let's run, let's run!" The fifth one said, "Isn't Halloween fun?" And five little pumpkins rolled out of sight. 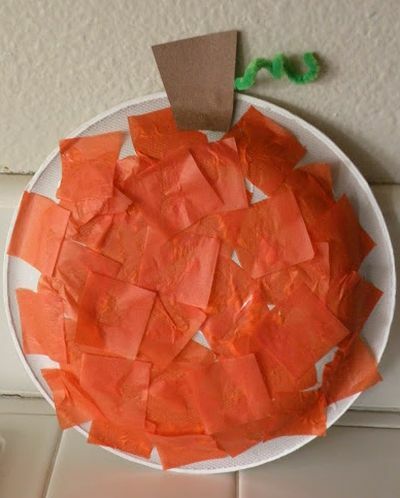 Paper plates and preschoolers go hand in hand with Halloween preschool crafts. Let your imagination run wild with these ideas for a plate full of fun. Whooooooo is that masked preschooler? 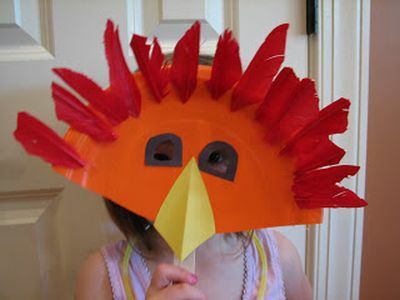 Young children love to make things themselves and this mask will get plenty of boo time. No one is more surprised to find themselves at the table than bats, ghosts, and eerie eyeballs. 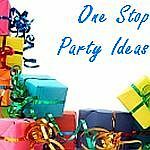 Easy craft idea with a big presentation. 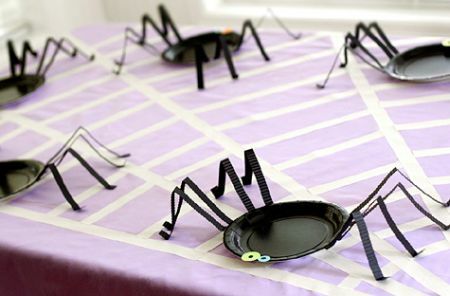 Preschoolers will bug out with this cute, but creepy tablescape. 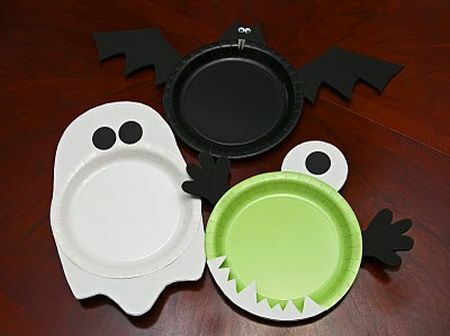 Fill plates just the way kids like it with a web of tricky treats. 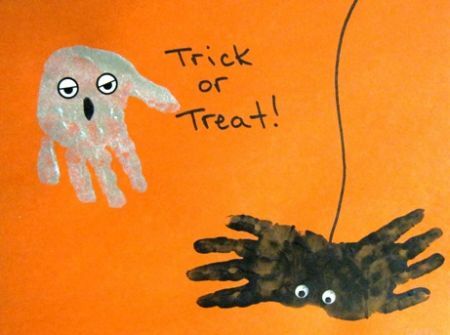 Scare up some fun with these preschool Halloween crafts. 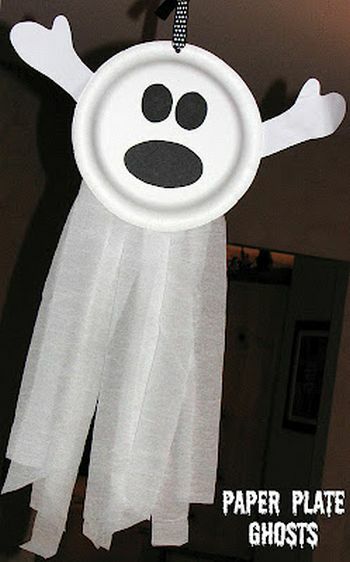 This paper plate trick becomes spooky in a jiffy. And, kids will have even more fun taking this one home to enjoy with their family. 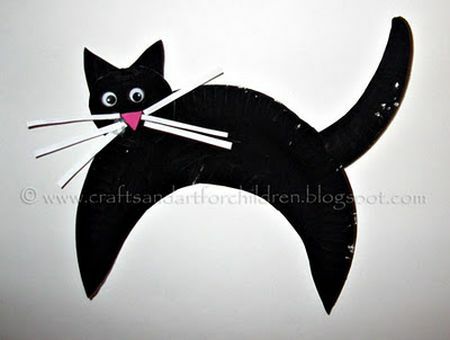 No need to worry about crossing paths with this black cat. Preschoolers will think this craft project is all good. 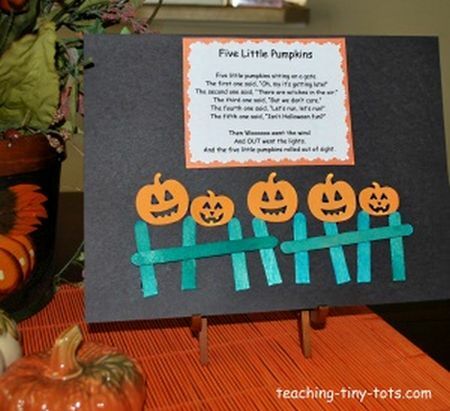 Turn your classroom into a pumpkin patch with the help of preschoolers. If desired, add personality with a jack-o-lantern face. 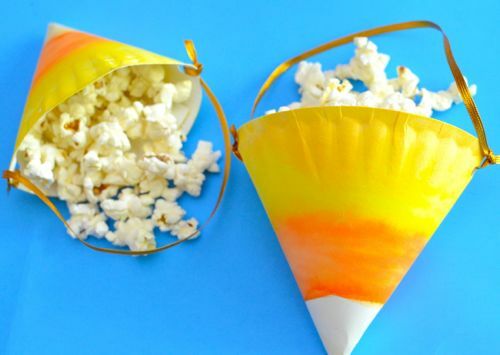 This candy corn cone becomes the perfect holder for delicious popcorn. The perfect combination of sweet and salty. 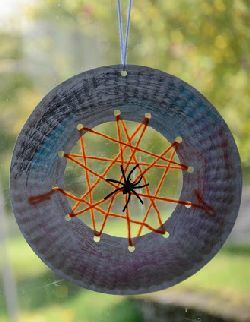 Allow little hands to make Halloween keepsakes. The trick of this artwork will be a treat for their parents. For the love of Mummy. 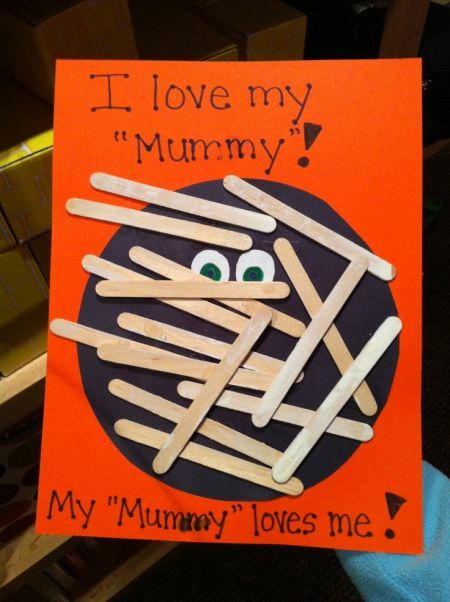 Mummies will love this crafty idea. The kids will love making it. 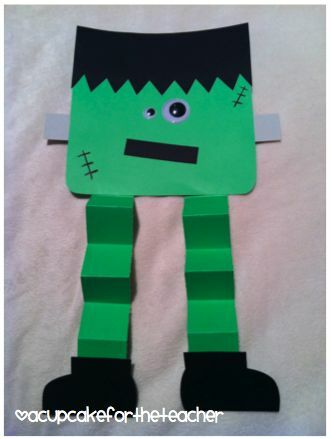 Pre-cut all the pieces and allow preschoolers to invent their own Frankenstein monster. It would not be Halloween without Frankenstein. Get the scoop on seeds. 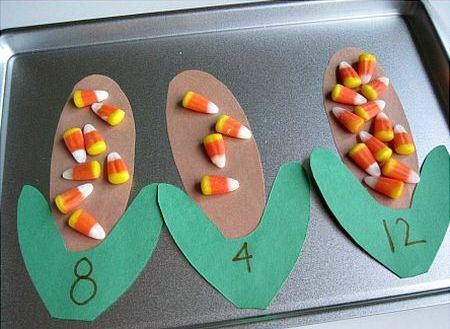 This seed idea could grow into a Halloween favorite. 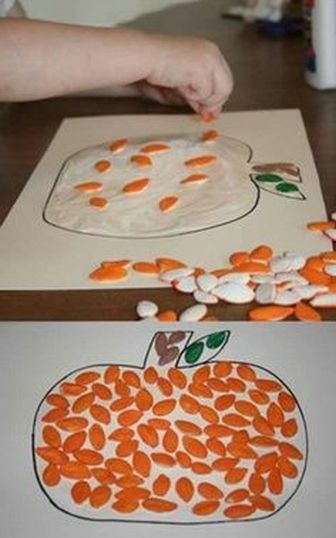 Candy preschool Halloween crafts are always a kid favorite. This eight legged creature sure looks sweet. 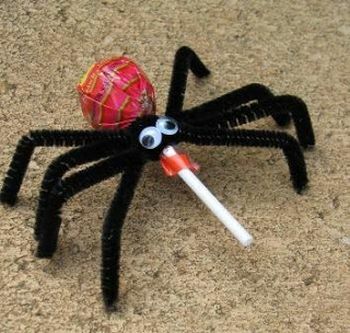 Kids won't mind having this spider on their head. Such a simple idea, but sure to spin a web of excitement. A sweet way to learn. 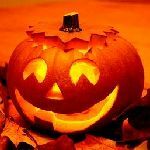 Preschool Halloween crafts can be fun and educational. All you need is plenty of candy corn and plastic buckets, pumpkins, or cauldrons. Place pumpkins in a line. Tape a line for students to stand behind to toss candy corn into the pumpkins. The one who gets the most candy in wins. 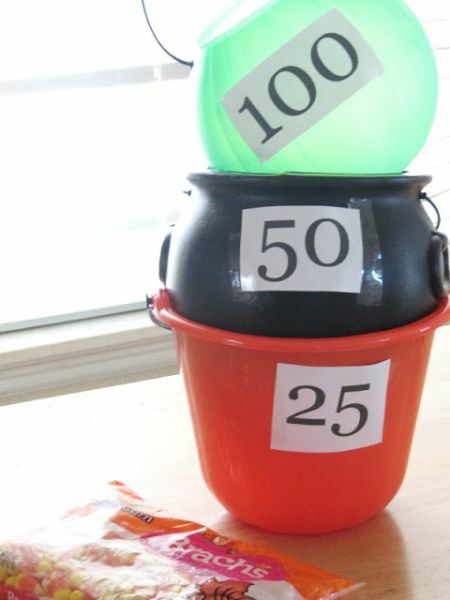 Preschool Halloween games can quickly change from a game to a candy fest. So, don't be surprised if more candy goes in their tummies than in the pumpkins.